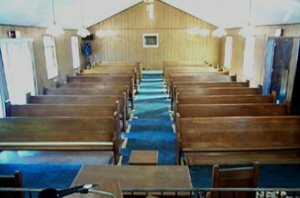 Completed in 2006 Comments: Cut 10 pews in half to make 20 short pews to change pew layout along side walls, reupholstered pew seats, pew repairs, and added new carpet. 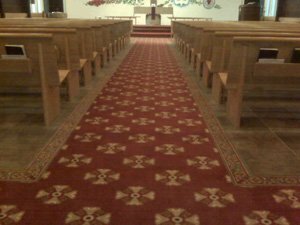 Completed in 2007 Comments: Installed patterned carpet throughout the church, installed new pews with new pew cushions. 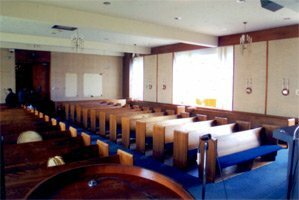 Completed in 2000 Comments: Light refinishing on all pews and pulpit furniture, reupholstered pulpit chair seat cushions, upholstered seat and back of existing wood pews, removed existing carpet and installed new wall to wall carpet.